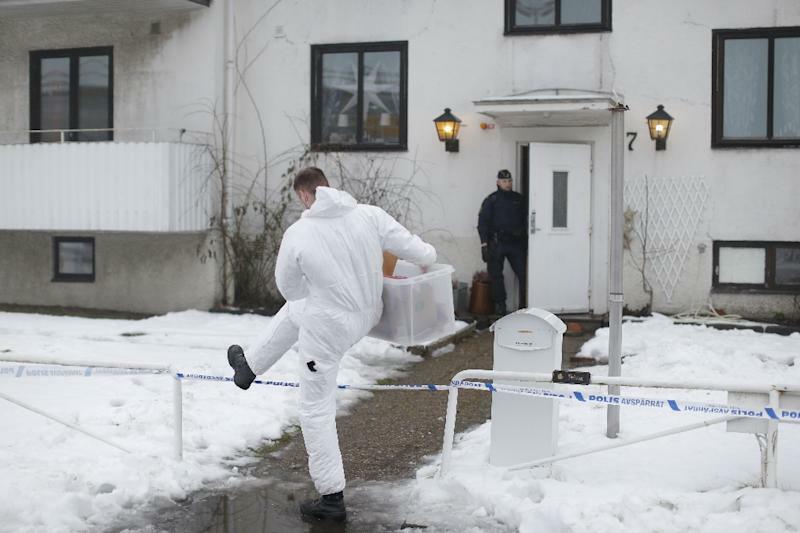 Stockholm (AFP) - A young asylum seeker on Monday allegedly stabbed to death an employee at a refugee centre in Sweden as police demanded more resources to stem rising violence linked to the migrant crisis. Police spokesman Thomas Fuxborg said the assailant was a young man residing at a centre for youngsters aged between 14 and 17 in Molndal near Gothenburg on Sweden's west coast. He did not give details about the suspect's age or nationality but said he had been arrested for murder. Swedish news agency TT said he was 15 years old. The victim was a 22-year-old woman, and the motive was not immediately clear. "These kinds of calls are becoming more and more common. We're dealing with more incidents like these since the arrival of so many more refugees from abroad," said Fuxborg as Sweden struggles with a record influx of migrants and asylum seekers. Prime Minister Stefan Lofven was to visit the area later on Monday. The attack came as National Police Commissioner Dan Eliasson requested 4,100 additional officers and support staff to help fight against terrorism, carry out migrant deportations and police asylum facilities. "We are forced to respond to many disturbances in asylum reception centres. In some places, this takes significant police resources. This was not the case six months ago and it means that we won't be able to respond as effectively in other areas," Eliasson told TT. According to the Swedish Migration Agency, the number of threats and violent incidents at asylum facilities more than doubled from 2014 to 2015 as Sweden witnessed a record number of migrant arrivals. In 2014, there were 148 incidents and in 2015 that number jumped to 322. But arson attacks targeting asylum shelters have also surged, with at least two dozen centres reduced to ashes or damaged by fire last year. Also weighing on police resources are border controls introduced on January 4 and a higher national terrorist threat level after the Paris attacks in November. "Many of the problems we are now facing help to prove the point that Swedish police have long been underfunded and under-staffed," police union director Lena Nitz, told TT. "It is obvious that the migrant situation is a great strain. It has become clear that the situation is completely unsustainable." The police request for more resources comes greater attention is being focused on allegations of violence by young migrants across Europe, with some countries expressing doubt about their ability to integrate them into society. Like the rest of Europe, Sweden has been struggling with the continent's biggest migration crisis since World War II. A country of 9.8 million, Sweden took in more than 160,000 asylum seekers in 2015, putting it among the EU states with the highest proportion of refugees per capita. It has since tightened its asylum rules to curb the migrant flow.